In 1940 a network of defences was hastily built all over the British Isles to prevent an anticipated German invasion. 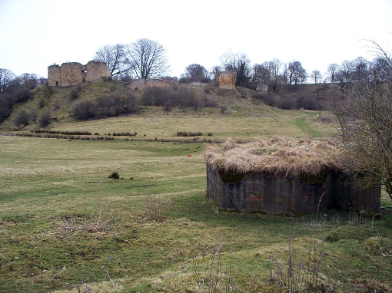 The most common of these defences were called “pillboxes”, squat concrete forts that were sited at road junctions, canals and other strategic points. With the passage of time it is estimated that less than 6,000 of a total of 28,000 pillboxes built still survive. They remain as permanent monuments and a silent tribute to the courage and tenacity of the British people during the dark days of 1940 when Britain stood alone against Nazi Germany. This site attempts to show some of what still remains today.